Daytona Motorsport launches brand new Dmax karts at both the Milton Keynes and Sandown Park, featuring brand new Birel Race Chassis and the new-for-2015 Rotax Max Evo Engines. 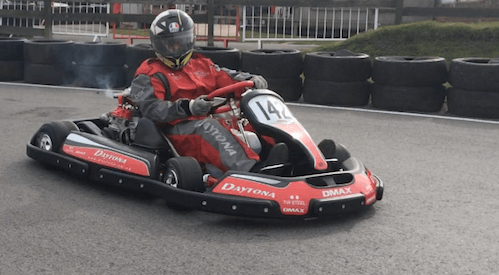 Following an investment of over £250,000, drivers at this weekend′s TW Steel Dmax Championship Round will be the first people to race the brand new karts. The race chassis are an evolution from the previous Birel chassis and the engines are the latest version of the Rotax Max 125cc, water-cooled, two-stroke engines. Rotax have re-engineered the internals to make their tolerances even finer and to make the engines more evenly-matched. The new fleets of karts will be available for Arrive&Drive and for Exclusive and Open Race Events from the middle of next week at Milton Keynes and Sandown Park. Daytona′s brand new circuit in Tamworth will be offering Dmax karts when it opens in April 2015. For more information, call 033 033 278 70.